Here are some notes/kind of a web map that I made with some major “take aways” from this Treaty Education topic. This is a topic that I learned about last year in my ECS110 class, but it is still a topic that makes me feel upset. I really dislike the way things were with the residential schools and how the aboriginal people were forced to be split from their families and their homes. It also make me sad to think that a lot of aboriginal languages were lost because children were forced to speak English in their classrooms. Therefore, they spoke their native languages less and less. But the story doesn’t end there. Today there are programs that help educate others to be aware of the past and know that things can be turned around and we can try to make amends and live together in peace and as one people on the land. I think that the key thing to learn here is that we are all in this together and are treaty people. Therefore, it is time for hope, love, change, and reconciliation. “Your mindmap and written response is filled with, as you share in your own words, “…hope, love, change, and reconciliation”. I appreciate your mindmap notes that demonstrate your engagement with the topic. You’ve taken a complex topic and simplified it into key points as to ways to move forward together. Office of the Treaty Commissioner – Excellent website that talks about Reconciliation. and choosing to build a better future. We Are All Treaty People. The Statement of Treaty Issues – The Statement of Treaty Issues is a significant milestone in an historic journey towards achieving a common understanding of the treaty relationship and its practical meaning for a better future for all people of our province. Commemorate the lives of the thousands of Indigenous children who died as a result of the residential school experience. 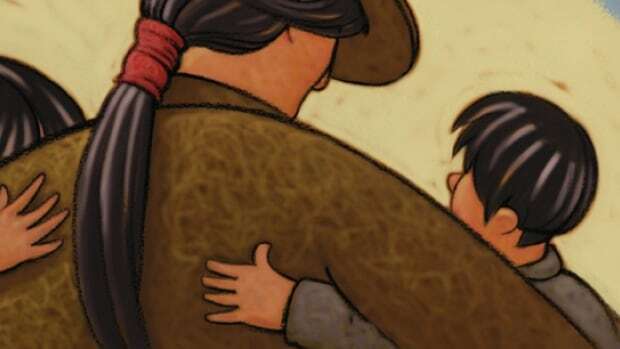 10 Books About Residential Schools – Here is a great website with 10 books about residential schools that you can read to your kids and use as a great resource to educate them about residential schools and the aboriginal people’s culture. Classroom Resources – Here are some great resources of books that have games, activities and much more! These resources can be used in your classroom while teaching your students about Treaty education and the Aboriginal people. Book List and Lesson Plans – Here is a great site that has a breakdown list of books to you can use in your classroom. They have lesson plans that go along with each book that you may chose to read in your classroom and the list is broken down into Elementary, Middle, and Secondary School grade levels. Have some fun looking at these wonderfully planned lessons and connecting yourselves as teachers to Aboriginal curriculum and pedagogy. Aboriginal Perspectives – The Aboriginal Perspectives web site contains information that will aid teachers in including Aboriginal perspectives in their lessons. Here you will find video material, workshops, and Aboriginal games which will all provide rich sources of material for the construction of a lesson plan. Fantastic work in your discussion forum posts and responding to your peers! Very professional reflections that shared your connections, questions, experiences and many AHA moments in your learning. Your mindmap is a great visual for you to revisit, reflect and continue learning about Treaty Education and Residential Schools.